Who else is in total disbelief that we are only 6 months away from Christmas, or better yet, 4 days from the 4th of July! With the Americas birthday literally days away, I thought an easy July 4th outift idea would be perfect for todays post. Are you someone who is understated in your patriotic colors or do you cover yourself in stars, stripes and American flags? I had to dig deep into my closet for todays 4th of July outfit inspiration. The pieces I have ordered still haven’t arrived. 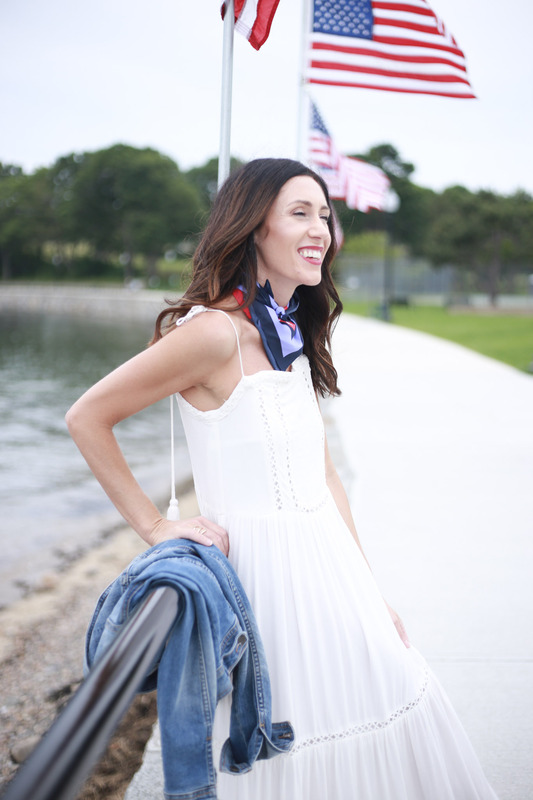 Who doesn’t love to get the whole family dressed in a little 4th of July outfit inspiration to show America some love! In my hometown, we have our parade and fireworks on the 3rd, and head over to the next town to my Dad’s for bbq, parade and bonfire. So for us, it means double 4th of July outfits & FUN! The easiest part about finding a 4th of July outfit is everyone already has something white in their closet. Pop on a red lip and a cute mini flag to wave around, and your all set. Which might be my look for the 4th if my order doesnt arrive by Monday (fingers crossed). 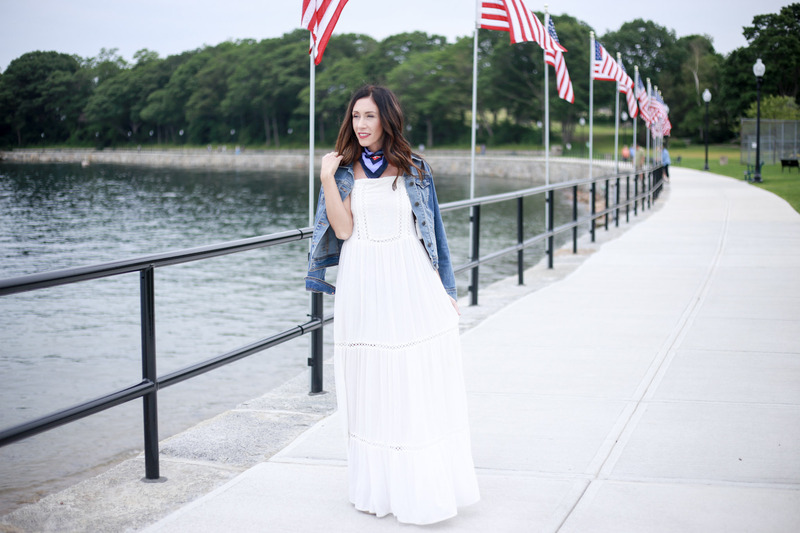 This white maxi is a Francescas find that is currently sold out. However, I have linked some other great white maxis. You can never have to much white in your summer wardrobe! I’m sorry this is going up so late, I was holding out hoping that my packages would arrive. Since they haven’t, I have linked tons of super cute 4th of july items. Everything from accessories, graphic tees and pieces for the kids! Many of my picks are from Nordstrom (read this post)& Old Navy and they both offer overnight shipping, cause I know I am not the only last minute Momma out there! Make sure to follow along on Instastories for all this weekend fun. Let me know your plans in the comments below. After all the BBQ’s, s’mores, fireworks and fun is over remember there are tons of great sales to shop. Have a happy and safe long weekend. Here are some of the sales I will be shopping!